CANNES, France — Real Madrid goalkeeper Keylor Navas said on Sunday that he was more scared of walking the red carpet at the Cannes film festival than facing Liverpool’s lethal striker Mohamed Salah. 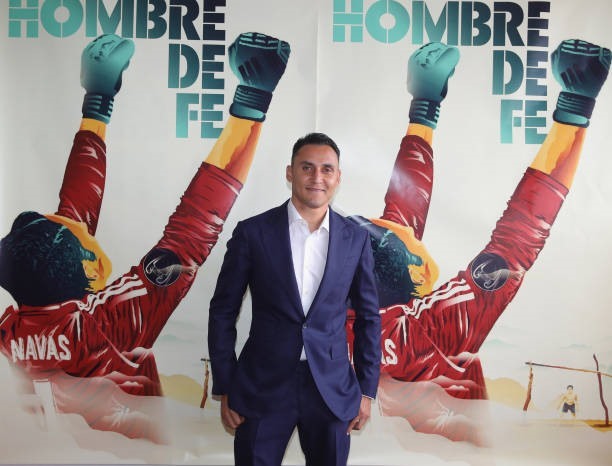 The Costa Rican – known as "God’s Goalkeeper" for his strong Christian faith – said he found showing a film about his life at the festival more stressful than a Champions League final. "It’s a delicate question," he told reporters as Hombre De Fe (Man of Faith), which recounts his rise from humble origins to become one of Real’s millionaire galacticos. "The Champions League final I know. The red carpet tonight is new... it’s a bit stressful," he admitted. The 31-year-old was part of the all-conquering Madrid side that won the European title in 2016 and 2017, and will face the English team in two weeks’ time in this year’s decider. A day after Madrid beat Celta Vigo 6-0 in La Liga, Navas flew to Cannes to promote the film, which also features Real’s legendary trainer Zinedine Zidane playing himself and a dressing room scene involving other members of the side. Navas said the idea of the film was not to grandstand him but to "show people that with faith and God’s help" you can realise your dreams. Liverpool’s free-scoring Egyptian marksman is a devout Muslim whose 44 goals so far this season have inspired Reds’ fans to chant that they might consider converting to Islam themselves. The jokey reworking of Dodgy’s 1996 hit Good Enough went viral after it was shared on social media.